The Taoiseach has said "we are moving in the right direction" when it comes to waiting lists for operations and procedures. Overall national hospital waiting lists increased to a record 718,165 patients at the end of August, according to the latest figures from the National Treatment Purchase Fund. The increase comes despite an intensive validation process by the HSE, which was heavily criticised by GPs. Leo Varadkar said numbers were 10,000 lower than this time last year and most people were waiting less than six months. However he acknowledged that where progress was not being made was in the area of outpatient appointments. He said that overall while real improvements were being made "far too many people were waiting far too long". The total August waiting list figure includes 11,718 patients "suspended" from the overall list for a variety of reasons, including not being clinically able for treatment at this time. The figures show that total inpatient and day case treatment lists are down. However, the outpatient waiting list for people to be seen by a consultant at a clinic for the first time for assessment is up by nearly 3,000. There are now nine different waiting list figures produced by the NTPF, which have to be calculated and compared with previous months. Also, the way figures are presented and compared was changed last year, which makes comparison with previous years difficult. The NTPF includes people on the suspended waiting list if their treatment or care is being processed for outsourcing to another hospital, including a private hospital. Outpatient waiting list numbers reached 514,585 last month, while 74,189 were waiting for inpatient or day case procedures. More than 48,000 children were on waiting lists to be treated, or to be seen by a doctor at the end of last month. NTPF statistics show that University Hospital Galway has the biggest inpatient, day case and outpatient waiting lists in the country, with more than 50,000 people waiting. Galway's outpatient waiting list was 39,883 at the end of August and the inpatient and day case list was 10,181. UHG said it is working to reduce waiting times, after figures showed more than 50,000 people listed for inpatient and outpatient care at the biggest hospital in the west. The hospital said waiting times are compounded by the physical space available at the hospital as well as its clinical capacity. Those requiring orthopaedic, urology and vascular treatments face lengthy delays. Significant numbers of people are also waiting for oral surgery, rheumatology and ENT procedures. As part of the plan to tackle waiting lists, additional weekend procedures are planned in a number of specialities. 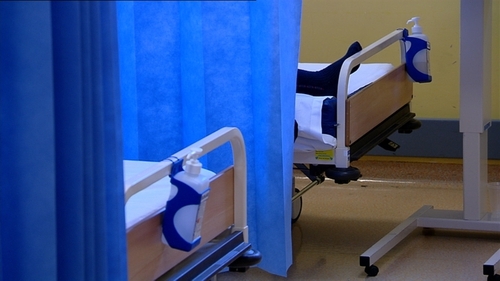 The hospital said more than 2,500 people on waiting lists have been treated in private hospitals since January. It is also piloting what it calls "virtual clinics" where patients speak to a clinician on the telephone instead of going to hospital. However, this approach can only be used for certain conditions. University Hospital Waterford has more than 36,500 people on outpatient waiting lists. The highest outpatient delays are in otolaryngology, the treatment of diseases and disorders of the ear, nose and throat with over 66,000 waiting to be seen. Almost 20,000 were waiting more than 18 months to be seen. More than 63,000 were waiting on an appointment with an orthopaedic consultant. Tens of thousands of people are also looking for appointments in relation to ophthalmology, urology, gynaecology, cardiology and neurology. More than 16,000 children have been waiting for over one year for an appointment.